The 2018 Athlete Guide can be found here. Course maps are available on the “Course” page. Two and three-person relay teams are welcomed. Sprint races will begin at 6:30 AM. Waves will be self-ilable in the athlete guide sent out one week prior to the race. All times are subject to change in accordance with police oversight. In addition to finisher medals, awards will be given out to athletes that place overall and in their age groups. There is no double-dipping. Parking for the Annapolis Sailor’s Triathlon Triathlon is available at the stadium in designated areas. Attendants will be present to direct traffic on the morning of the race. We encourage carpooling to expedite parking in the morning. The $10 parking fee is included in your registration fee. Official chip timing will be handled by SVE Mid-Atlantic Timing. Participants will receive accurate times for each segment of the race, including transitions, as well as ranking based on each segment. 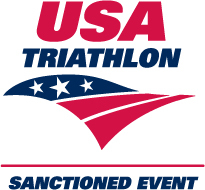 The Annapolis Sailor’s Tri is a USA Triathlon Sanctioned event and will adhere to all USAT rules and procedures. A complete listing of USAT rules can be found on the USA Triathlon Website. In the event of inclement weather or other unavoidable circumstances, the Annapolis Sailor’s Triathlon reserves the right to modify or cancel any portion of the race that is deemed unsafe for participants. To ensure participant safety and minimize the impact on the surrounding communities, the Annapolis Sailor’s Triathlon has established course cutoffs for the race in coordination with the Annapolis Police Department, the City of Annapolis, and the United States Naval Academy. All runners must be to Gate 1 of the Naval Academy (approximate Run Mile 1.8) by 8:55 AM, as streets in the historic district must reopen by 9:00 AM. You will be directed to move to the sidewalk and follow pedestrian rules to finish the course. All roads, including those outside Gate 8 of the Naval Academy (approximate Run Mile 2.9) will reopen at 9:30 AM. There will be a sweep vehicle, but you will be allowed to continue on the sidewalks as a pedestrian. All triathletes must finish by 10:00 AM to receive a finishing time. Race officials reserve the right to pull any participant from the course who is not making satisfactory progress on the course or is considered a danger to themselves or others. Individual registrants will receive a colored swim cap with the Annapolis Sailor’s Triathlon logo that corresponds to their wave group. For relays, the swim leg will receive the swim cap. Participants must wear the provided swim cap during the race. In addition to body marking, each participant will receive a helmet number, bike number, and bib number. The bib number is only required for the run portion and must be worn on the front of the body and visible at all times. THIS IS A REQUIREMENT to enter the US Naval Academy. No exceptions. All participants in the individual and relay races will receive an Annapolis Sailor’s Triathlon finisher’s medal upon completion of the race. Participants are encouraged to stick around after the race for complimentary food and refreshments. Michelob Ultra is a major sponsor, and Bluepoint Toasted Lager will also be served. Participants will have access to race pictures captured by our race photography partner. The $10 parking fee is part of your registration fee. The average summer high temperature is 84.65° F in July, so we do not expect that the race will be wetsuit legal. A final measurement will be taken the morning of the race, and results communicated to all athletes at the pre-race meeting. Volunteers are critical to making an event fun, safe, and enjoyable for athletes and spectators. We are looking for people for a variety of positions. If you’d like to volunteer at the Annapolis Sailor’s Triathlon, you’ll receive an event volunteer shirt, post-race party admission, and other goodies. Go to the volunteer page to sign up. Packets will be available at Susan Campbell Park at City Dock in Historic Annapolis. You must purchase a one-day USAT membership for $15 if you are not currently a member. Per USAT rules, you must pick up your race packet in person and bring photo identification, along with your USAT card if you are a member. Each relay member must be present to pick up their own packet. Packets will not be released to anyone other than the athlete for any reason.